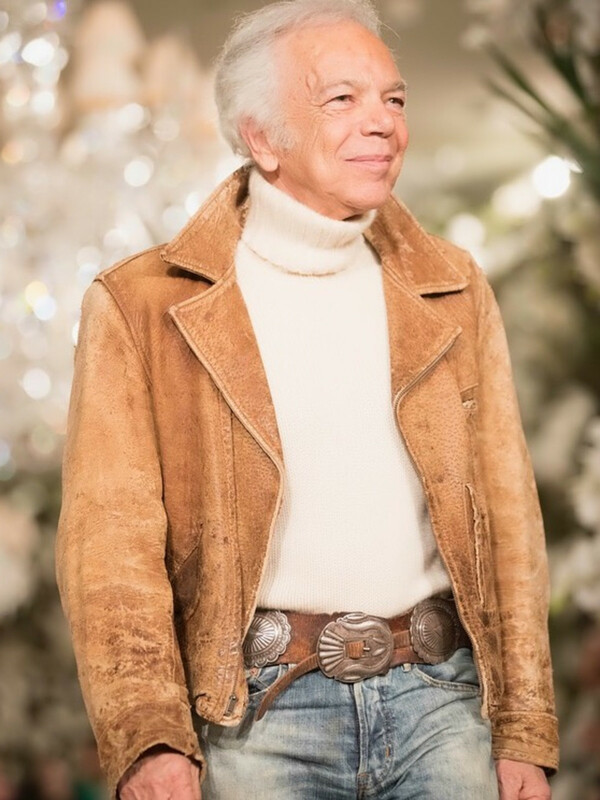 It's nice to see Ralph Lauren back in the saddle again. 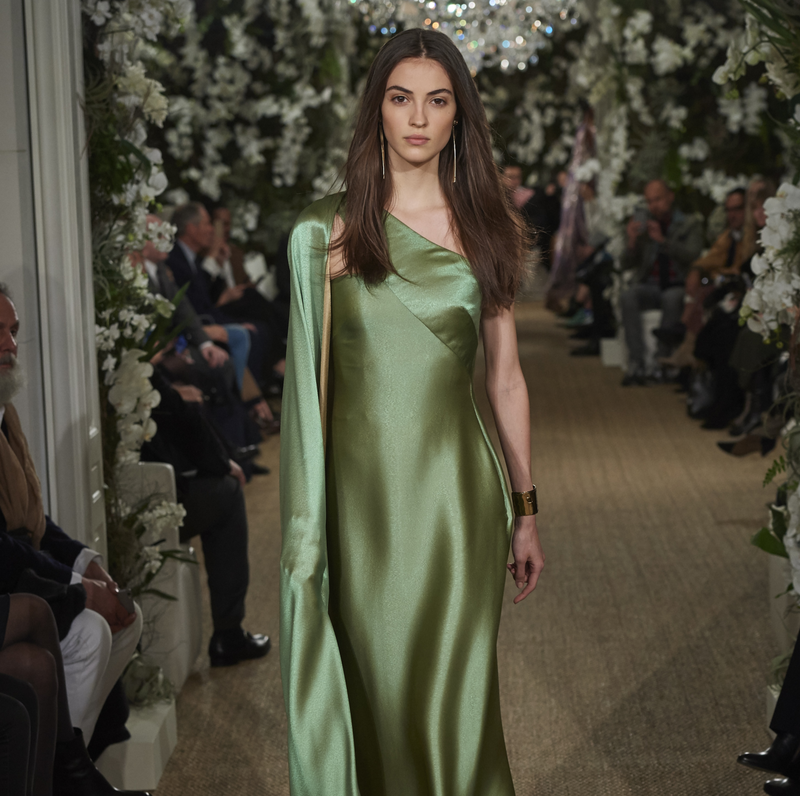 The master designer, whose hand-picked CEO recently announced he was leaving the company over creative differences, created a masterful runway show in his Madison Avenue store during the end of New York Fashion Week, with a fall collection that evoked the glamour of the legendary brand. 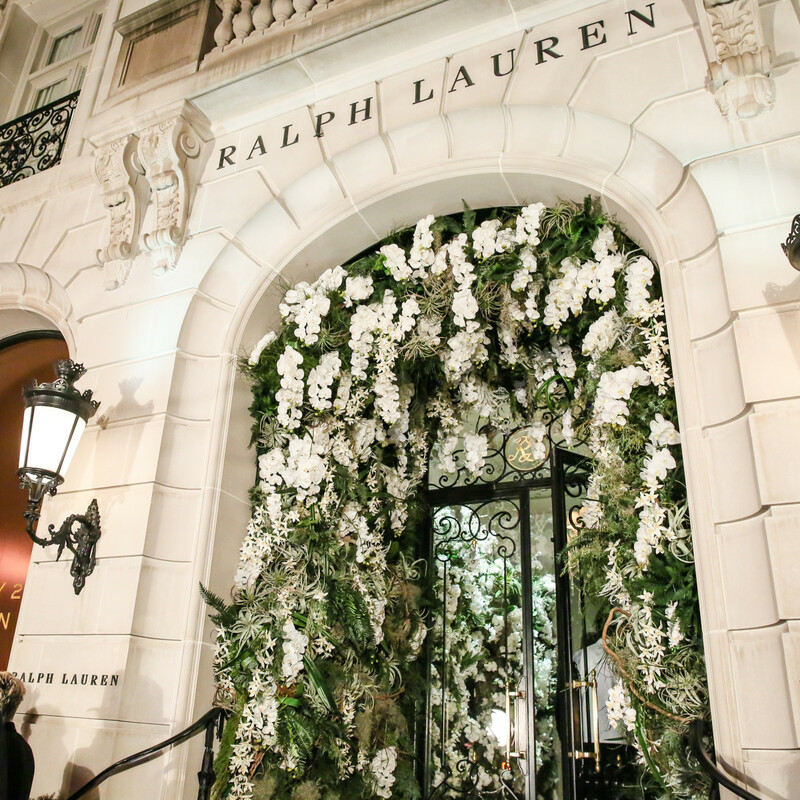 It was rumored that Lauren had hoped to hold the show at the New York Botanical Garden. 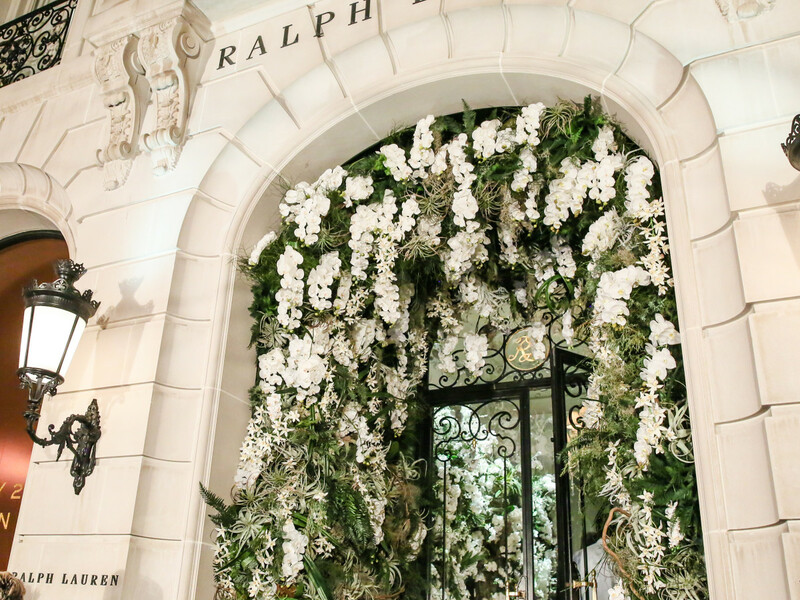 Instead, he decided to create a secret garden of his own that was every bit as spectacular as the real thing. 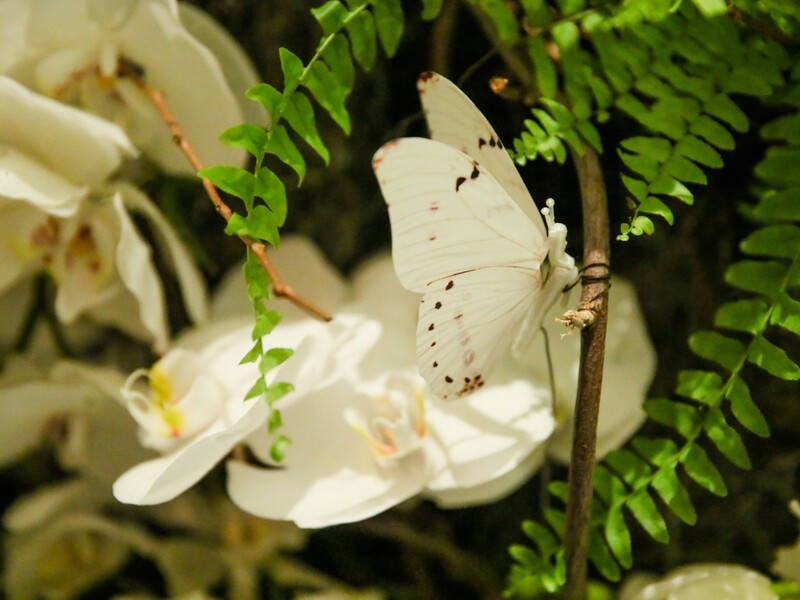 Every wall on the first and second floor of the 19th century mansion-turned-retail-emporium was covered in white orchids — more than 100,000 were flown in from around the world, and the fragrant smell was almost overwhelming — along with air plants and desert agave intertwined with vines and moss, and dotted with faux butterflies with flapping wings. 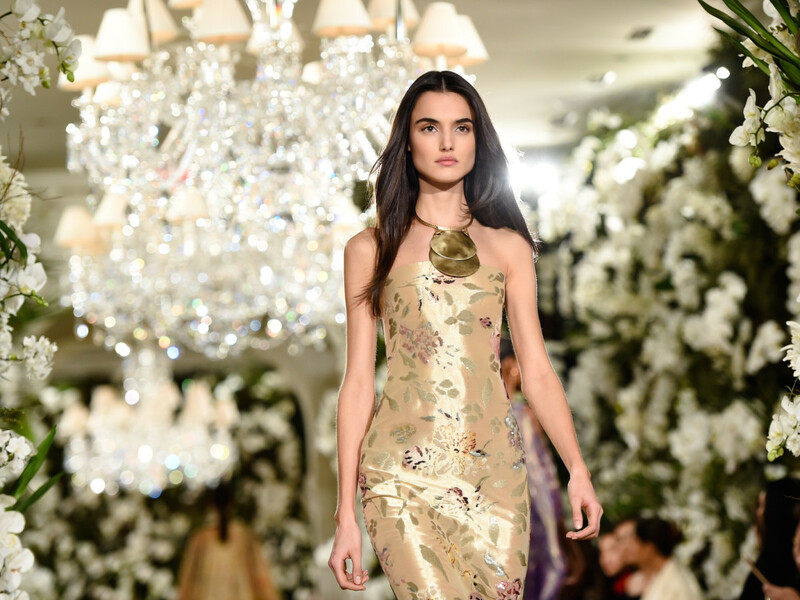 When the show began, models wound their way from the second floor down a marble staircase in front of a select crowd that included prime customers, favored retailers, and celebrities like Jessica Biel and Bollywood star Deepika Padukone. 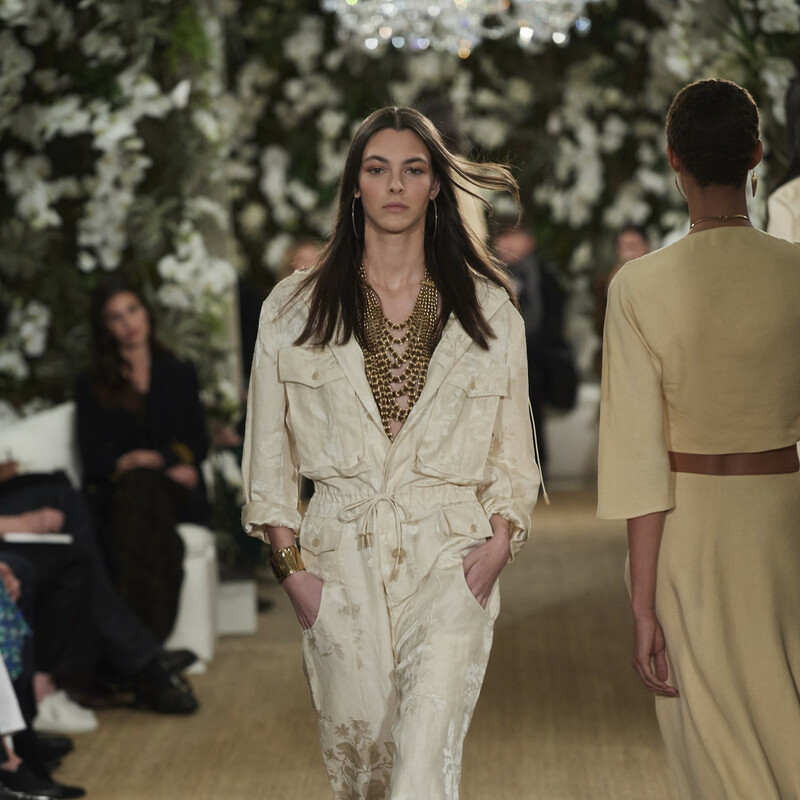 The lush surroundings evoked fashion week's better times, when such over-the-top shows were common. 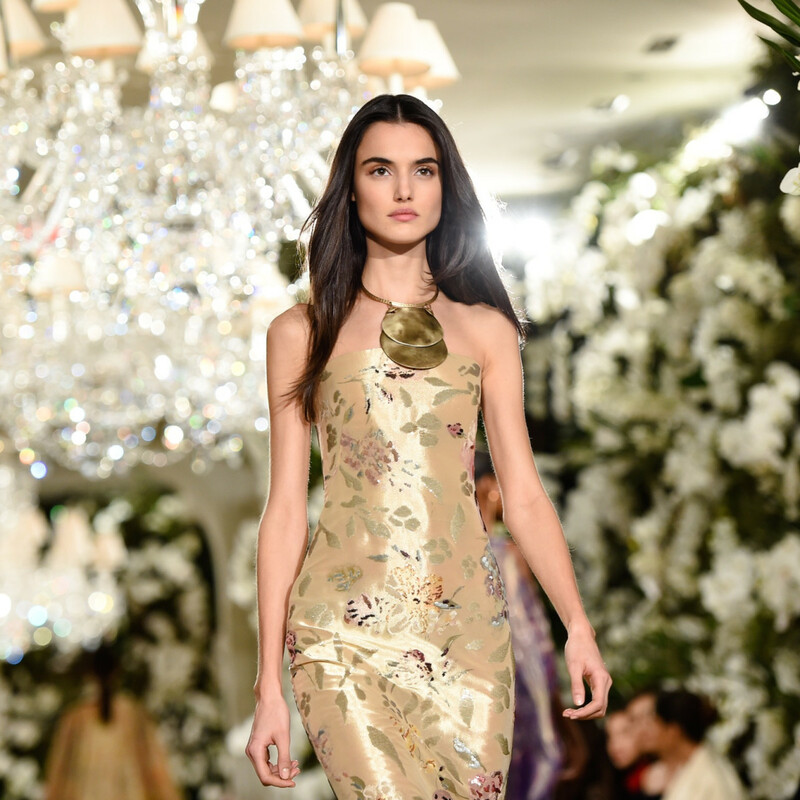 This go-around, only the La Perla runway show, which featured a faux stone manor with vignettes of models in each room, came anywhere close to Lauren's amazing setting. 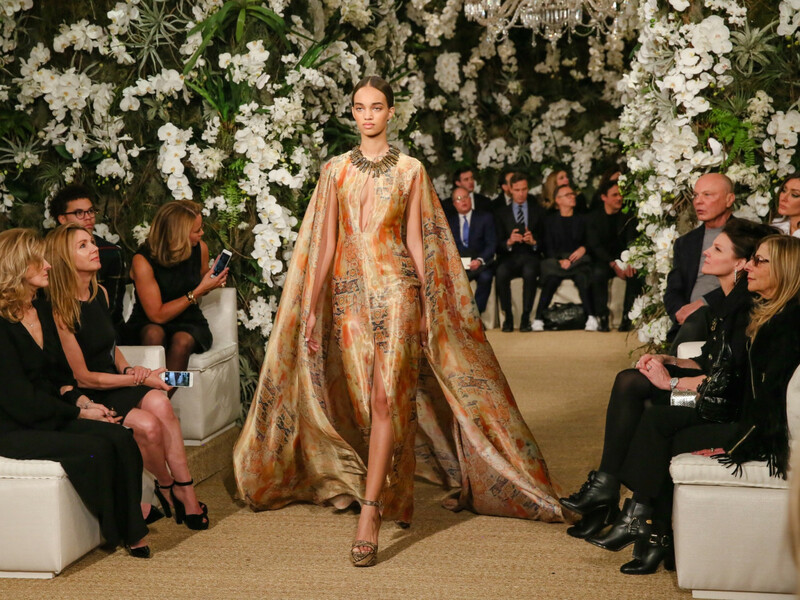 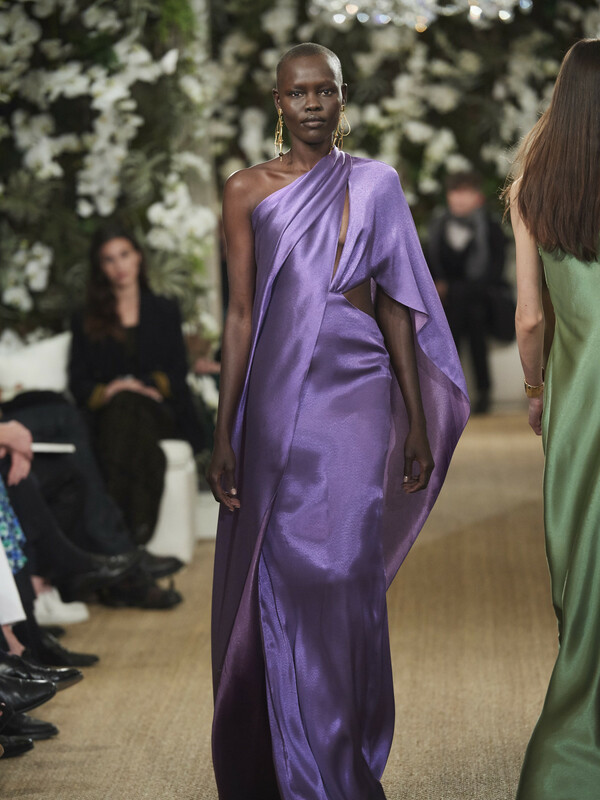 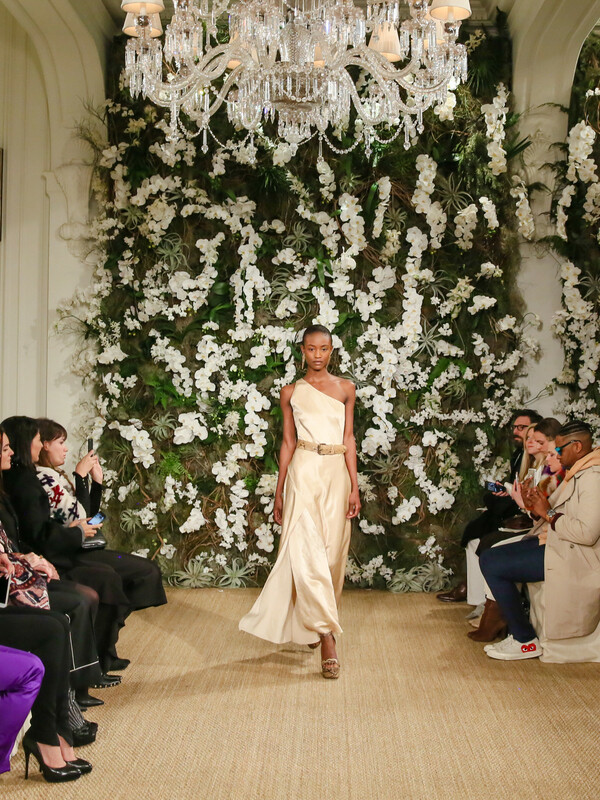 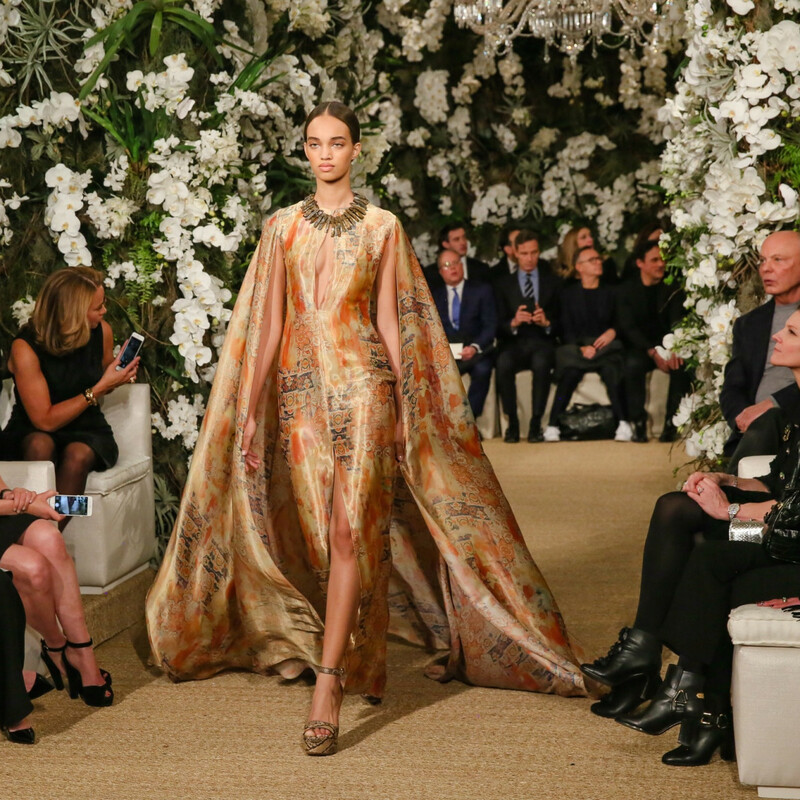 The collection matched the surroundings, with luxe styles ranging from creme-colored safari-like daywear and distressed leather jackets accented with sculpted jewelry to fluid silk gowns in purple, green, and a ruby paisley pattern. 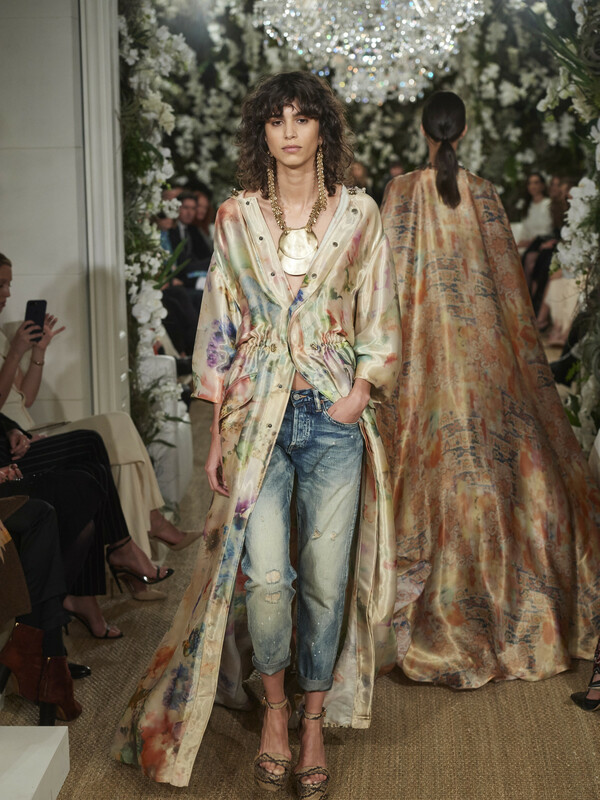 A hint of wanderlust pervaded the collection, which Lauren said was inspired by "a nomadic spirit; an exotic sophistication contrasting pure shapes with rustic textures; shades of the desert and burnished gold; and artful, one-of-a-kind jewelry. 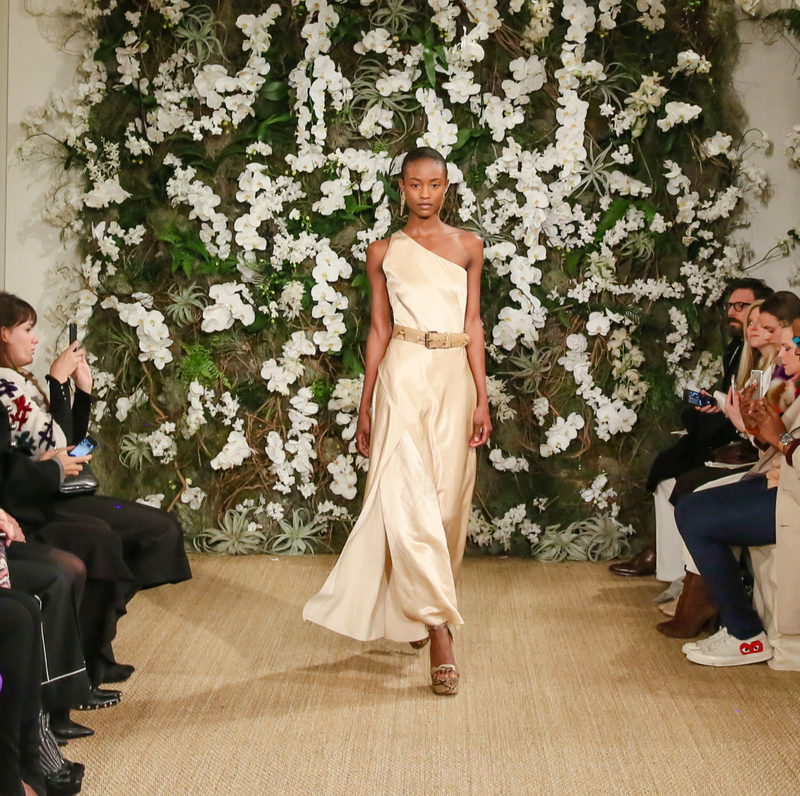 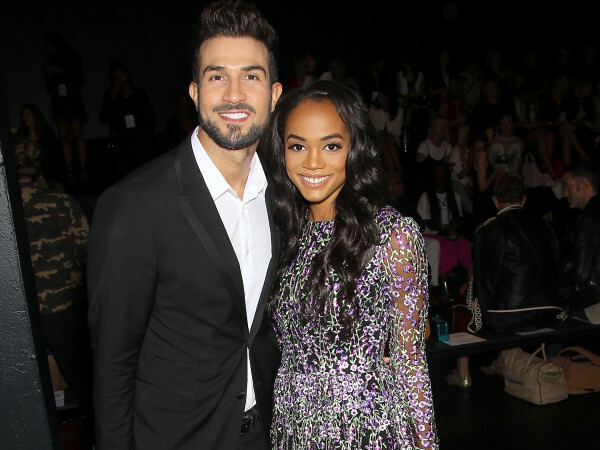 "It embodies the spirit of the woman I design for, always seeking a style that is bold and personal," he explained. 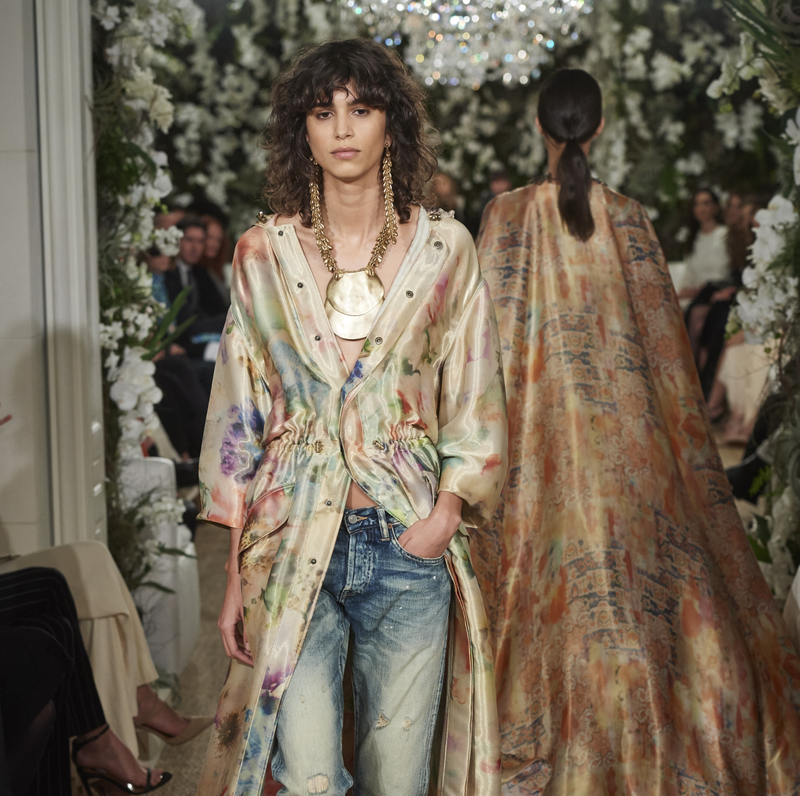 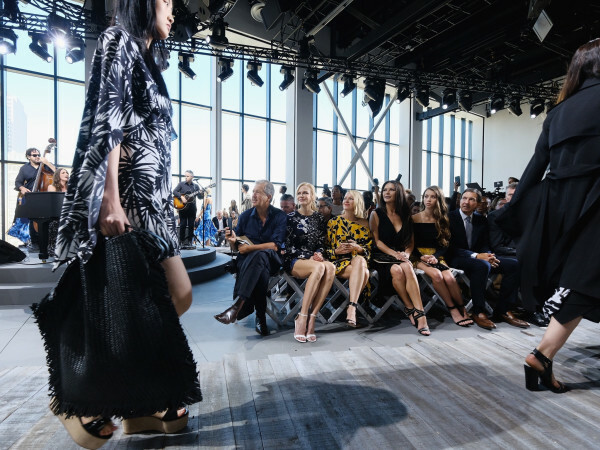 While many of the styles reflect Lauren's uptown spirit, there was more a downtown vibe in the closing look, as Argentinean model Mica Arganaraz wore a mutli-floral lame evening gown, unbuttoned from the waist down and worn over a pair of ripped jeans. 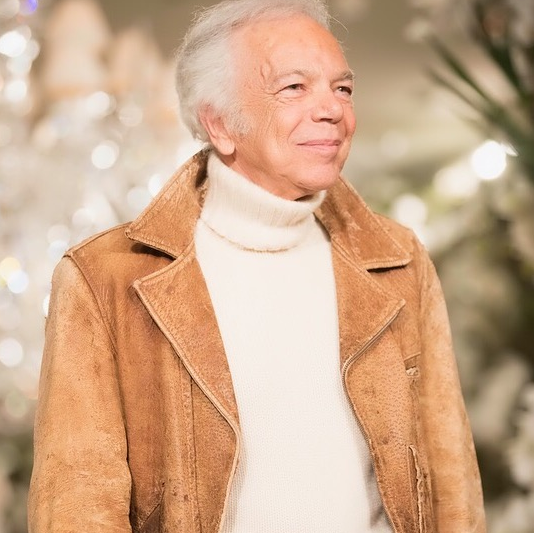 At the end of the show, the 77-year Lauren took his customary runway bow, entering from an elevator rather than taking the stairs, and moving slowly as he acknowledged the audience. 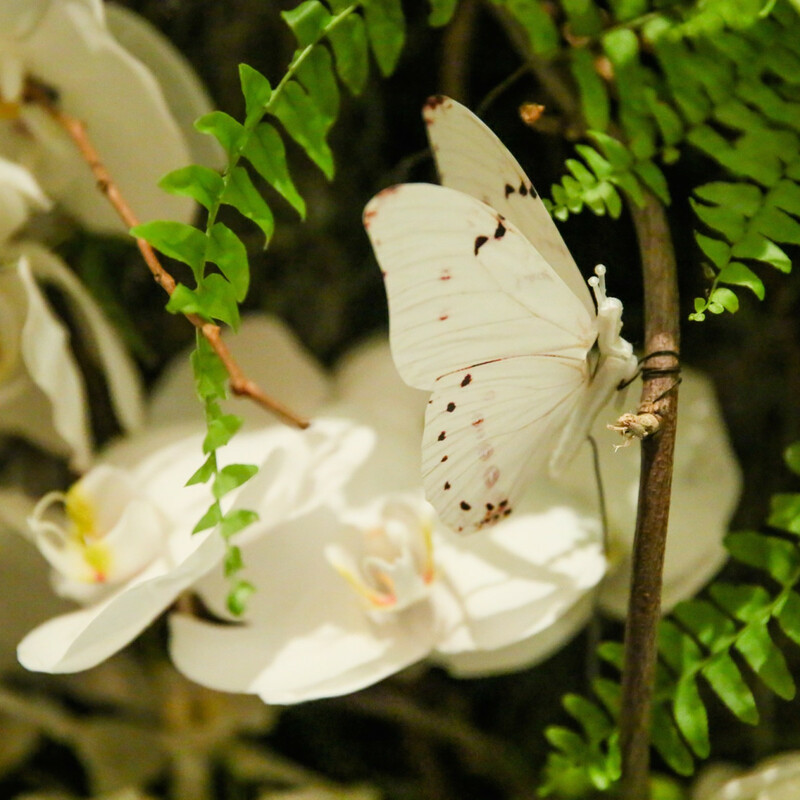 But there seemed to be a satisfied sparkle in his eyes. 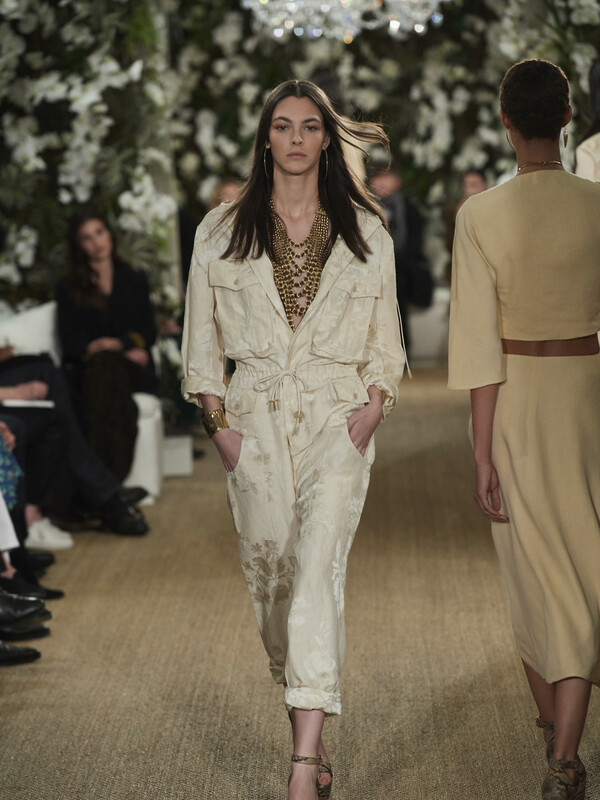 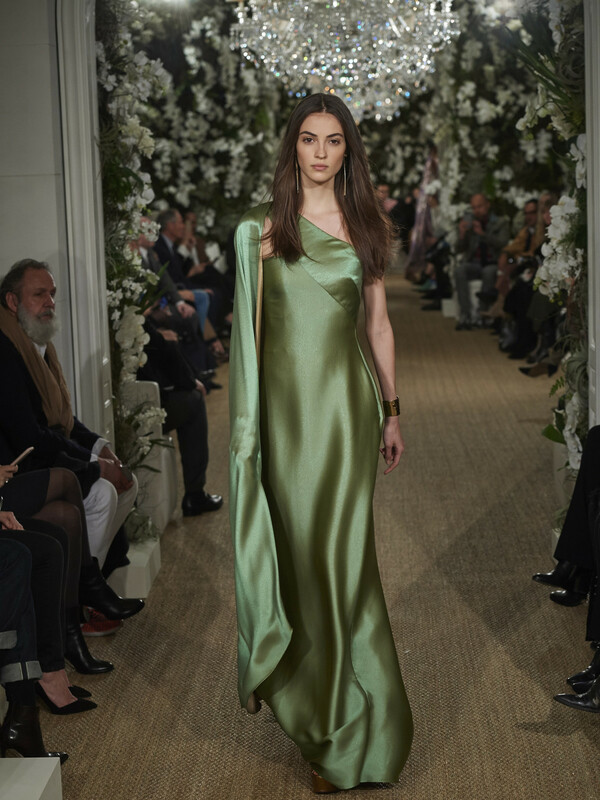 The collection can be purchased immediately at flagship Ralph Lauren stores and on RalphLauren.com as the brand has embraced a "see it now, buy it now" philosophy.